Rev. Gerald Beekman, son of Cornelius Beekman, was a distinguished theologian and his services in translating the Bible were rewarded by King James I. of England. He lived most of his life at Cologne on the Rhine. The Beekmans were steadfast Protestants from the time that Martin Luther in 1521 protested against the corruptions of the Church of Rome. [The failure of this effort] put Gerardus Beekman in a difficult position. The Catholic authorities at Cologne were now backed by Spanish troops; they could not be expected to welcome the return of a resident who had been one of the leaders in the Mulheim operation which aimed to destroy them. The family account reports that Gerardus was forced to flee to avoid capture by Spanish troops and that in doing so he sacrificed considerable property which he had acquired at Cologne. In any case he now entered the service of the Elector of Brandenburg in Cleve. The official record of his son's marriage in 1621 notes that Gerardus was then "auditor and secretary" in the government of that Germany territory. It is reported in the letter of 1702 that he died at Emmerick in the Cleve area in 1625 at the age of sixty-six. 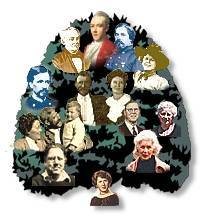 This family can be traced back to a remote period, in Germany. Cornelius Beekman flourished about 1470. His son, Gerard, born at Cologne, on the 17th of May, 1558, studied divinity at Frankendael, in 1576, 1577, and 1578, and was conversant with the Latin, French, Italian, and German languages. After completing his education, he travelled extensively through Europe. During the great religious persecution which commenced about this time, several delegates were selected to visit the Duke of New-Berg, the Elector of Brandenburg, at Berlin, and King James of England, whom the protestant world, flatteringly, denominated "Protector de la Foi" (Protector of the Faith,) to obtain assistance in behalf of the reformed religion. Gerard Beekman and Trek Keyser, a gentleman of superior abilities, were chosen for this important mission, which they executed with so much credit to themselves, that King James caused the coat of arms of the Beekman family to be remodelled, as it now is, namely, to "a rose on either side of a running brook." It will be remembered, that in 1618, the catholics expelled the protestants from Cologne, but, in a few years, they returned, when the persecution against them being revived, the churches which they erected, were burnt by an infuriated mob, as soon as completed. They then repaired to Mulheim, about three miles below Cologne, on the east bank of the Rhine, where they also commenced building churches, Gerard Beekman and Van Veldhuysen, being appointed superintendants in this work. Even in this they were not unmolested, but being assailed during the night by an exasperated populace, their half-finished edifices were demolished, and they themselves arrested," and conveyed to prison. Mr. Beekman, however, made his escape, taking refuge with the land-grave of Nassau, sacrificing most of his property, and a profitable employment. After the death of his wife, on the 10th of March, 1614, at Mulheim, he became auditor and secretary of the electoral chamber at Cleves, in the service of the elector of Brandenburg. He died at Emeric, on the 31st of January, 1625, aged 66. His zeal for the protestant religion continued undiminished to the hour of his death. 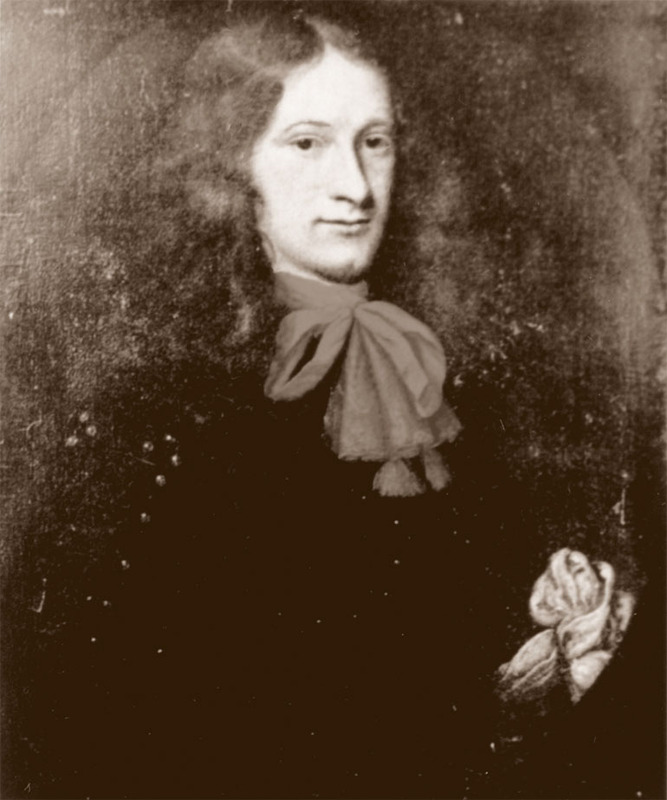 William Beekman, the son of Henry Beekman, ancestor of the family in America, was born at Statselt, Overyssel, April 28, 1623. 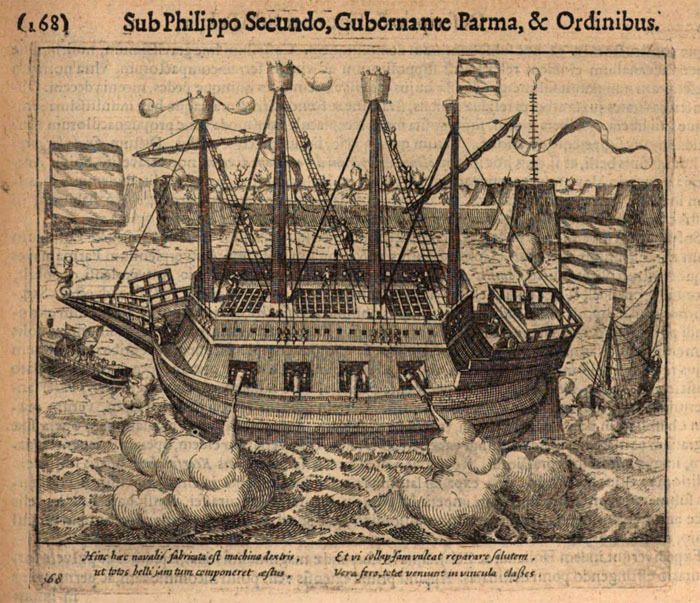 In 1647, being a magistrate and an officer in the reformed church in Holland, and twenty-four years of age, he embarked with Peter Stuyvesant, then appointed governor of New Netherland, with a convoy of three ships, the Great Gerrit, the Swal, and the Raid, and on the 27th of May, 1647, after a boisterous passage, during which they lost from sixteen to eighteen men, he arrived at New Amsterdam. In his company, and impliedly regarding him as their patron, came several poor families, from the banks Rhmebeck of the Rhine. Beekman provided them a locality on the banks of the Hudson, where they probably removed before the autumn, and thus was founded the little village of Rhinebeck. About midway between Broadway and Chatham Street, was originally a large pond, denominated by the Dutch, kolck or marsh, which they also designated as the Fresh Water, and a stream or rivulet from it running eastward, and crossing Chatham street, between Pearl and Roosevelt Streets, and having there a bridge over it. Beyond this fresh water river and swamp meadow, on the East River, what is now called Corlaefs Hoeck, was called by the Indians, Nechtant, and since likewise denominated Crown Point. The lands lying at this place were originally purchased by Jacobus Van Corlaer, who must have emigrated to New Netherland some time during the directorship of Wouter Van Twiller, or just previous, as he had a plantation or bowery there during his administration, and this property was purchased by William Beekman, in 1652, with the ground rent, for the sum of 4,500 guilders, ($750,) "provided the seller pay the ground rent now due." He subsequently made other purchases further to the. west, as his possessions afterwards comprised all the lands bounded on the north by Nassau Street, on the west by Ann Street as far as Gold Street, and down to Pearl, near to the corner of Fulton Street, south by Pearl Street, east by Frankfort Street, including what was originally called Beekman Swamp, to Frankfort Square. A street was subsequently laid out through this district, and called Beekman Street, in honor of the proprietor. In 1673, Mr. Beekman's estates in the city of New York were assessed at 3,000 guilders, Holland value. In 1653, '54, '56, and '57, he was elected one of the schepens, or assistant-alderman of New Amsterdam. In 1654, in repairing the fort, he was made superintendent of the lumbermen, whom he furnished with timber, for that purpose, probably, from his wooded farm at Nechtant. He was appointed vice-governor on the Delaware, on the 28th of October, 1658. It will be recollected that after the conquest by Stuyvesant, in 1658, the West India Company sold out their possessions lying on the west side of the Delaware, north of Christina Creek, to the city of Amsterdam, for 700,000 guilders, thus constituting two colonies or jurisdictions, the one designated the Colony of the City, the other the Colony of the Company. The former was governed by the burgomaster and council of Amsterdam, the latter by the director-general of New Netherland, and his council. The period which intervened between the conquest alluded to, and Beekman's arrival, was filled by the administration of one governor, and part of that of another. The first governor was Johan Paul Jacquet, whose administration commenced on the 29th of November, 1655, and terminated on the 12th of April, 1657, when he was succeeded by Jacob Alrich, a miser and tyrant, who administered the government till the year 1658. The province being then divided, as already described, William Beekman was, on the 28th of October of that year, appointed governor of the Colony of the Company, and Alrich, that of the other colony. We have, therefore, at this period, two jurisdictions on the Delaware, with Jacob Alrich presiding over one, and William Beekman over the other. The former resided at New Amstel, the latter at Christina, (originally called Altona by the Swedes,) from which place most of his letters are dated. His oath of office contained the following requisition. "He swore to maintain the reformed religion, as it is preached in our father-land and here, in conformity with the word of God and the synod of Dordrecht." There is little difference between the religious character of our Dutch and New England ancestors. There were Dutch as well as English puritans who emigrated to our shores. Desirous of extending the boundaries of New Sweden, as far as Cape Henlopen, Gov. Stuyvesant advised Beekman to have it done, but that functionary being opposed to new acquisitions of territory, the project was abandoned. The truth is, they had no troops nor funds; the garrison at Altona consisted of only seven men, with one old drum, which wanted a head, and which could not be supplied without sending to Fort Amsterdam. He fortified the Horekill, however, under the following circumstances. There arrived at that place, from Virginia, a party of fourteen Englishmen, in small boats, who commenced a settlement, but being attacked by the Indians, they would probably have all been massacred, had not the Dutch come to their assistance. The latter, however, on effecting their rescue, became acquainted with their object, and determined to prevent it. The director-general accordingly instructed Alrich to take possession of the country immediately, in the name of their high mightinesses, the states general; but that officer refused so to do, on similar grounds to those urged by Beekman on a former occasion, namely, a deficiency of money and soldiers, and when recommended to resort to taxation, as a means of supplying this deficiency, urging that the harvests having been scanty that season, such a proceedure would be oppressive upon the people. This was a miserable apology for a governor, whose whole administration had been one continued series of oppressive acts, and the most unconscionable covetousness. Beekman, however, undertook the enterprise above alluded to. He, on the 23d of May, 1659, set out in company with Alexander Hynoyosa, and arriving there, he purchased the soil of the Indians, and erected a temporary fortification, which he garrisoned with what soldiers he could obtain, and thus annexed this new and valuable region to New Sweden. "We will merely mention in this place, that it was during his administration that Col. Utie and five other gentlemen, representatives of Lord Baltimore, arrived at Fort Christina, to adjust the boundary line between that nobleman's plantation and the Swedish settlements, the former claiming the whole country, as far as to within two miles of New Amstel, and granting deeds to that effect, which the Dutch considered an invasion of their territory. The question was warmly debated at the fort for five evenings, during which Beekman was present, when the ambassador returned home without accomplishing the object of his mission. So indignant was Stuyvesant, that Alrich should even admit an English ambassador and suite into one of his forts, that he complained of it in a despatch to the West India Company. In consequence of the excitement produced by this controversy between the two provinces, the Dutch expected for some time after, a hostile inroad from Maryland. This, together with apprehensions of an expedition from England, to wrest from them their newly-acquired territories, and an insurrection among the Swedes and Fins to reestablish Queen Christina, kept the honest Dutch burghers, as well as the director-general himself, for months afterwards, in a state of considerable alarm and disquietude. All their fears, however, proved imaginary. A strip of wilderness like that in dispute, being considered at that early period hardly worth the shedding of blood. There are amongst the archives at Albany, a voluminous collection of Beekman's official documents, comprising his correspondence, reports of proceedings in the province, and appeals to the governor-general in litigated cases. The duties of a colonial governor, at that period, consisted mainly of taking due precautions against the Indians, of levying customs upon vessels arriving at New Amstel, of keeping a watchful supervision over the Swedes and the garrison,1 and settling those petty disputes between individuals, concerning boundaries of lands, trespass upon lots, damage to grain, purloining of poultry and cattle, and those innumerable minor grievances and vexations, so common to a colonial agricultural community. Neither colony prospered. The avarice and tyranny of Alrich were such, that almost every Dutch inhabitant of any enterprise, left his province and went to Maryland. So alarming indeed was this desertion, that severe laws were passed against it, which instead of preventing, probably only increased it; the Dutch population was reduced at one period to scarcely thirty families. While the authorities in Holland showed themselves no greater politicians than their representative, by establishing a commercial monopoly, and exacting an oath of obedience to their commands, which proved a serious encumbrance upon the prosperity and growth of the colony. The conflicting interests also, of contiguous jurisdictions, produced constant bickerings and contentions between the opposing authorities, which they undertook to remedy, by allowing the two functionaries to officiate occasionally in each other's jurisdiction. Beekman was provisionally permitted, to prosecute smugglers before the city's director and council, until further orders, at the same time being enjoined by his own authorities to be very cautious not to allow of any infringement upon the prerogatives of the company and the director-general and council of New Netherland, while Alrich occasionally granted deeds of land lying within the boundaries of the Colony of the Company. But still the colony did not prosper. Stuyvesant's unreasonable jealousy of the Swedes, the frequent intermeddling of the authorities of the city's colony with those of the company, probably anticipating the future acquisition of the province, the English smuggling from Long Island along the river Delaware, the inadequacy of the revenue to sustain the government, altogether sufficed to convince the proprietors that the longer possession of the colony would be an unnecessary burthen, and they finally determined to convey the whole of their possessions on the Delaware, to the city of Amsterdam, which they accordingly did, on the 22d of December, 1663. We must, therefore, here close the official labors of William Beekman on the Delaware. On the 5th of January following, he resigned his office at Altona, in the presence of a great concourse of Swedes and Fins, who had assembled for that purpose, and on the 9th of the same month there was another assemblage at the same place, to take the oath of allegiance to the new authorities. We conclude this article with the following extract from a letter of Beekman, written to Stuyvesant on this occasion. "On the 9th, the Swedish deputies and a great part of that and of the Finnish nation, appeared here to take a new oath, after they had been absolved, at their request and proposal, from the oath' they had taken. On the 10th they appeared at New Amstel, 'to which place' say they, 'we are now sold�so deliver us.' On the 8th the oath was proposed to them by the directors and council in my presence. This they unanimously refused, or rather they required first, in writing, all such privileges of free trade, &c., as they before enjoyed under the company's administration. Without these they said they would be compelled to depart. Eight days were then allowed them to consult their comrades, but they were assured that they must either take the oath or depart. From several persons I learn that they would rather live under your government at Newesing, or in that neighborhood." His letter, expressing a wish to be continued in the company's service, he was appointed schout or sheriff of Esopus, July 4, 1664. We find him after this, on the 16th of August, 1674, elected burgomaster of New Amsterdam, with fourteen others, whose names are preserved in the ancient Dutch records of this state. He was likewise alderman of the city of New Amsterdam, under the English administration, during the years 1678, '79, '80, '81, '82, and '85. He was alderman of the east ward in 1691-2, 1692-3, '93-4, '94-5, '95-6, when becoming advanced in years, he withdrew from public life. He died in his 85th year, in 1717. He resided in what was styled the "Smit's Valley or Vlie," which ran along about where Pearl Street now is. His residence was near the upper end of this street. His books are published under such disparate spellings as Wilhem Baudaert, Wilhelmum Baudartium, Guilhelmo Baudartio, Wilhelmo Baudartio, Wilhelmo Baudartio, and Gulielmum Baudartium. Four years before William Beekman's birth Baudartius had been a leading figure at the famous Synod of Dort. In effect the Synod formalized and promulgated the religious views of the Protestant faction which had at last emerged victorious in a long political contest. The defeated party, representative largely of the commercial centers, had urged rigorous separation of church and state, tolerance of religious differences, and a liberal view of the requisites for salvation. It had also favored peace with Spain and the preservation of decentralized, merchant-dominated government. The victorious party, representative in considerable measure of the exposed frontier provinces and of the huge refugee population, insisted on close cooperation of church and state, the narrow predestinarian doctrine of salvation usually associated with Calvinism, and suppression of any form of heresy. The political policies linked with these doctrines were vigorous prosecution of the war against Spain for control of the southern provinces (later Blegium) and a more centralized government with greater popular participation. At the conclusion of the Synod the leader of the opposition party was tried for his earlier conduct, now found to be heretical, and executed. Baudartius, as his participation in the Synod of Dort suggests, enjoyed considerable stature as an intellectual leader. At the Synod he had participated not only in the formulation of the doctrines of the Dutch Reformed Church, but also in prescribing its forms of worship. Furthermore, he was one of the handful of scholars selected to make the authorized translation of the Bible into Dutch. In 1632 when the Old Testament translation was completed after many years of effort, it was immediately acclaimed on all sides and has been employed ever since. 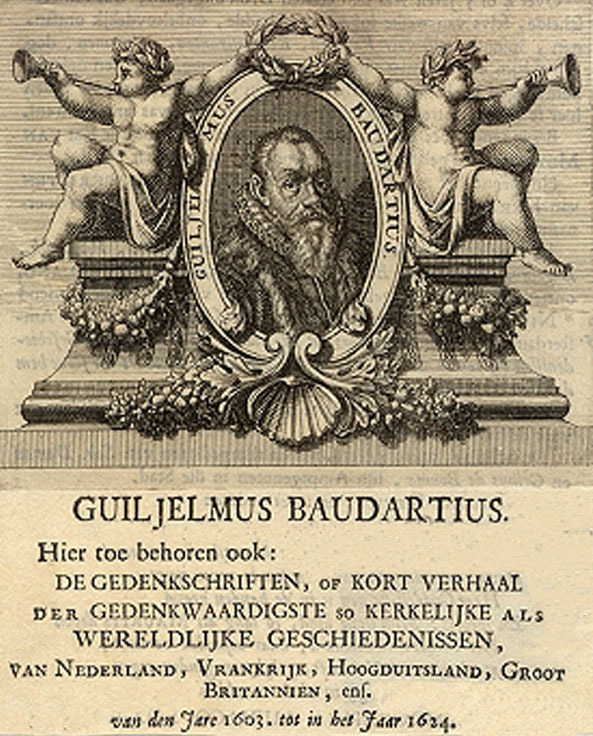 In addition to this scholarly activity William Baudartius also published some poems and a highly partisan chronicle of Dutch history from 1603 to 1624, one of the earliest scholarly works to be published in Dutch. He also left an autobiography which remains unpublished. Wilhelm Baudartius' [Spaensche Tiranye diendende tot een] Morghemwecker der vrye Nederlantsche Provintien (Spanish Tyranny serving as an alarum for the free Netherlandish provinces, sixteen editions 1610-50), was written to "cause revulsion against the Spaniards; and the Nassausche Oorloghen (Wars of Nasssau, many editions 1612-19) with over 280 illustrations is virtually a picture book, with an accent on righteous battles. 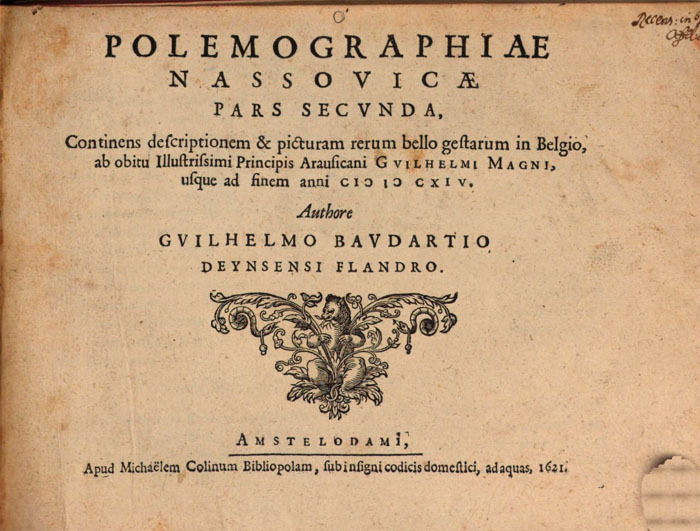 Wilhelmus Baudartius (1565-1640), the maternal grandfather of Wilhelmus Beeckman, the New Netherlander, was a student under these two professors [David Pareus was Professor of Theology at Heydelberg University from 1573 until his death. His colleague from 1589 to 1596 was Jacobus Kimmedonck] at Heydelberg from 1591 till 1593. He had previously studied under Kimmedonck from 1578 till 1584 at Ghent University. When in 1585, after the fall of Ghent and Antwerp before the Spanish army under Parma, Baudartius moved to Leyden, in Holland, where his sister Johanna lived, Kimmedonck, then minister at Middleburg, in Zeeland, gave him an introduction to the Church of Leyden. ... The renowned Dutch Bible translation, begun in 1587 by a Commission of which Jacobus Kimmedonck, Sr., was a member, was later completed chiefly under the guidance of Wilhelmus Baudartius. II. Hendrick or Henry Beekman, first son of Wilhelmus Beekman, baptized March 9,1652; died in 1716; married on June 5, 1681, Johanna Lopers, baptized October 30, 1650, widow of Joris Davidson and daughter of Captain Luyt Lopers of Stockholm.' Jerome B. Holgate in American Genealogy states that Hendrick Beekman's wife was Joanna de Loper of Boston, daughter of a Dutch Admiral. The Governor and Council on January 25, 1684, appointed him Justice of the Peace of Ulster County. He was a member of the first Assembly under authority of the British King which met in New York City on April 9, 1691, the delegates from Ulster and Dutchess Counties being Henry Beekman and Thomas Garton. Hendrick Beekman and Johanna Lopers his wife had children: Ho. William Beekman, who died in Holland at the age of eighteen years. 116. Catryntie, or Catharine Beekman, born September 16, 1683, died in 1745, leaving no children: she married first Cornelius Exveen, second on December 12, 1712, Johannes, or John Rutsen, Captain of Dragoons of Ulster County, baptized at Kingston, N. Y., August 24, 1690, son of Rutger Jacobse Rutsen. She married third Albert Pawling. 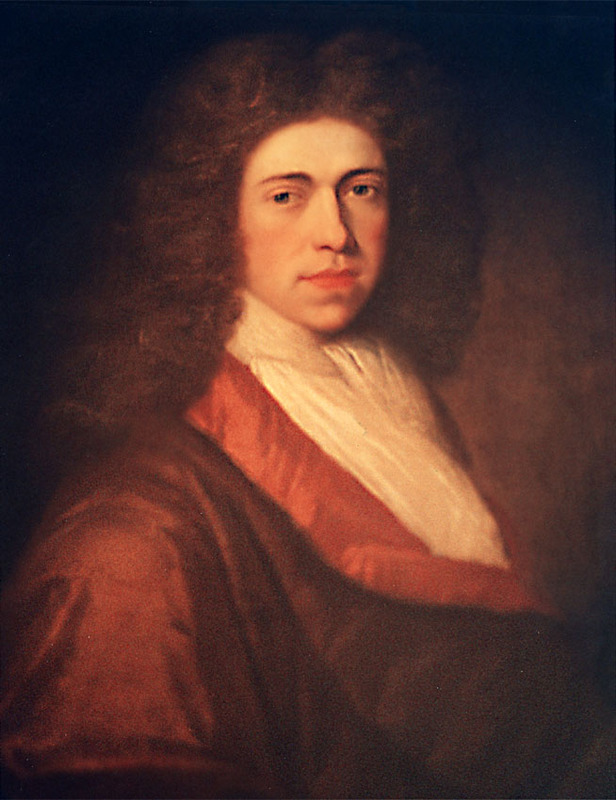 He, Cornelia Beekman, born in 1696, married Gilbert Livingston, son of Robert Livingston, who was born in Ancram in Teviotdale, Roxburghshire, Scotland, and came to America about 1674; he died in 1728. (a) Henry Beekman, died young. 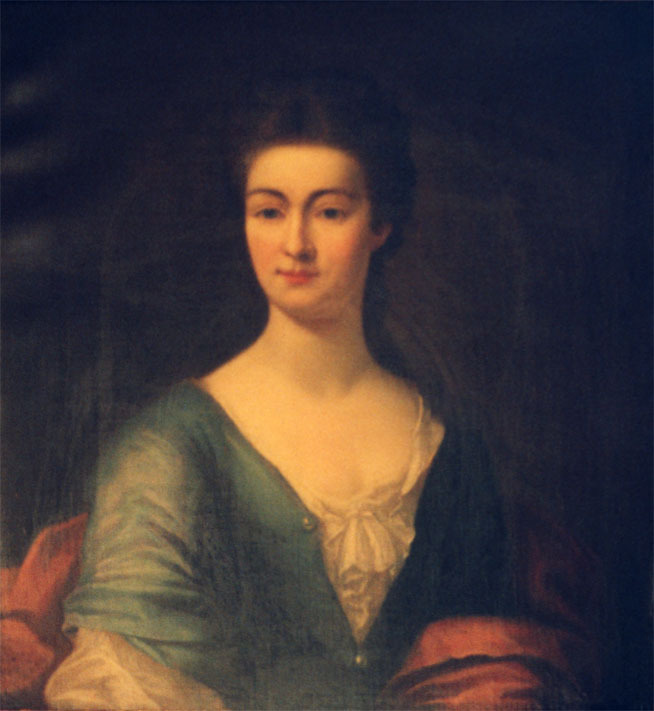 (b) Margaret Beekman, married Robert R. Livingston, born in 1719; died in December, 1775; Justice of the Supreme Court of New York, son and only child of Robert Livingston and Margaret Howerden; son of Robert Livingston and Alida Schuyler his wife. Beekman Patent. Land patent granted 22 Apr 1697 to Henry Beekman Sr. (1652-1716) of Kingston (Ulster Co), a member of the colonial legislature. At approximately 100,000 acres (40,500 ha) it comprised the towns now known as Beekman and Union Vale and parts of LaGrange, Dover, and Pawling in Dutchess Co. The original patent did not adequately describe its boundaries, so Beekman applied for and received a new grant in 1703. It was divided among Beekman's heirs and leased to tenants beginning in the3 1720's, with formal leases executed ca1740. William Prendergast, seeking secure leases at reasonable rates, led a tenant revolt in 1766. He was accused of treason and sentence to death but pardoned due to intervention by his wife, Mehitabel Wing. Most leases were converted to freehold status in the 19th century. Gerardus Beekman was a physician and surgeon and resided in New York and Flat Bush, Long Island, and occasionally on his estate on the Millstone River, New Jersey. In 1685, he was Justice of King's County, New York. He was captain of militia at Flatbush in 1681, and in 1689 he took the oath of allegiance and was appointed Major of all the horse and boot in King's County as appears by his military commission published in "Historical Documents of New York, Vol. 36, page 142. In 1690 and 1691, he was a member of Leisler's Council. He did not thoroughly agree with Leisler in politics and when Leisler's conduct caused distrubances, Dr. Beekman prepared and delivered an addres in pacification of the people. 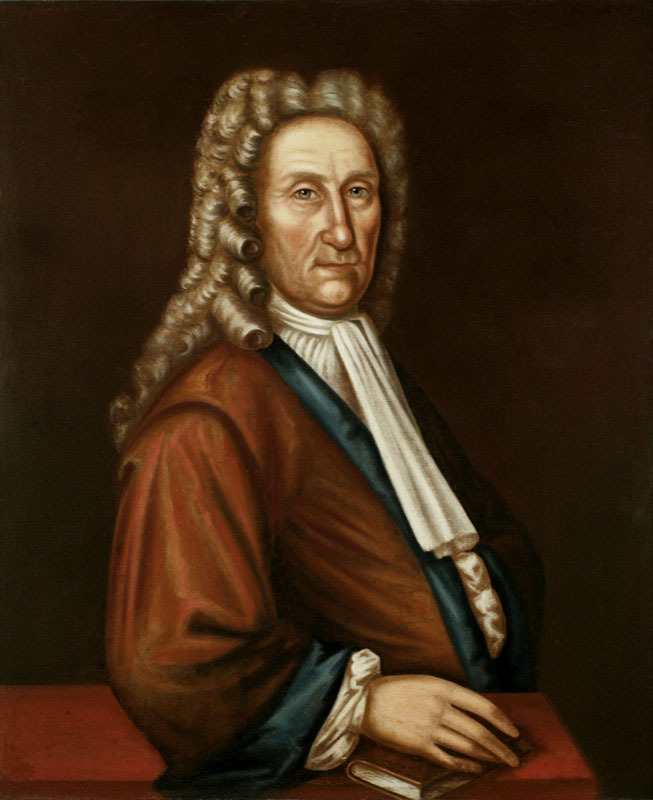 When Colonel Sloughter came to New York as Deputy Governor in 1691 to succeed Deputy Governor Nicholson, whose government after the accession of William of Orange had been overthrown by Leisler, Dr. Beekman was arrested with Leisler and others and was in prison for seventeen months, but was later pardoned. The unfortunate patriot Leisler was hanged. Governor Benjamin Fletcher, who succeeded Colonel Sloughter was in turn succeeded by Governor Bellomont. After the death of the Earl of Bellomont, March 5, 1701, the King appointed as his successor, Lord Cornbury, who began his administration on the third of May, 1702, assisted by a Council, consisting of the following members: William Atwood, William Smith, Peter Schuyler, Abraham de Peyster, Samuel Staats, Roberts Walters, Thomas Weaver, Sampson Shelton Broughton, Wolfgang William Romar, William Lawrence, Gerardus Beekman and Rip Van Dam. COLONEL GERARDUS BEEKMAN GERARDUS BEEKMAN, M.D.,third child and second son of Wilhelmus Beekman, the Founder, baptized August 17, 1653, died October 10, 1723, married August 29, 1677, Magdalena Abeel of Albany, N. Y., daughter of Stoffel Janse Abeel and Neeltje Janse Croon his wife, born in 1657, died October 20, 1745. Gerardus Beekman - Lieut. Col.
After the death of the Earl of Bellomont, which occurred March 5, 1701, the King appointed as his successor, Lord Cornbury, who began his administration on the third of May, 1702, assisted by a Council, consisting of the following members: William Atwood, William Smith, Peter Schuyler, Abraham de Peyster, Samuel Staats, Robert Walters, Thomas Weaver, Sampson Shelton Broughton, Wolfgang William Romar, William Lawrence, Gerardus Beekman, and Rip Van Dam. It is quite remarkable that throughout the disturbing politics of the time Colonel Gerardus Beekman was popular with the people and yet received important offices at the hands of the several Colonial Governors. In 1709 Lord Lovelace, the Governor, died and Lieutenant-Governor Ingoldsby became Governor, but was immediately succeeded by Colonel Beekman, who was appointed to fill the office until Governor Robert Hunter arrived in New York in June, 1710, when Colonel Beekman became President of his Council, retaining the position until his death. Besides his estate in Flatbush, Colonel Beekman had three large farms in New Jersey. One farm extended for two miles along the Raritan River and contained 1800 acres. It was held jointly with Laford Paterson of Flatbush and the deed of conveyance to them from William Dockra and Rebecca his wife, bearing date February 2, 1702, and recorded in Book I. of deeds, p. 429, at Trenton, N. J., states that the consideration was £366. Another farm of 4000 acres in Somerset County, New Jersey, was purchased February 20, 1702, of Rip Van Dam, attorney for Thomas Hart of England, one of the twenty-four Proprietors of East Jersey, and the record of it is found in Book C of deeds. Another farm of 608 acres was on the Millstone River, New Jersey, and is described in Book A under date October 28, 1708. His sons Christopher Beekman, Adrian Beekman, and Dr. William Beekman were owners of large tracts of these lands. Beekman, Tjerck. " History of Some of the Early Settlers of North America and Their Descendants" Jerome Bonaparte Holgate, 1851, pp66-86. Beekman, Tjerck. "Journal of Lieutenant Tjerck Beekman, 1779, of the Military Expedition of Major General John Sullivan Against the Six Nations of Indians." Edited by James R. Gibson, Jr. Magazine of American History, 20 (August 1888), pp. 128-136. Delafield, Maturin L. "Colonel Henry Beekman Livingston." Magazine of American History, 21 (April 1889), pp. 256-258. Eyewitness accounts in letters written by Henry Beekman Livingston (a colonel in the Continental Army who commanded a battalion which saw considerable action at Monmouth and sustained heavy losses) and by William Watson (a captain in Colonel Beekman's Battalion). An additional firsthand account, contained in a letter in the John Neilson papers, is that written by John Taylor, a member of Neilson's battalion. Also of interest are two letters by General Charles Lee in which he defends his conduct at the battle (to Major [George Rogers?] Clark, 3 Sept. 1778) and in which he requests a Congressional investigation of the court martial which found him guilty of treasonous conduct (to Henry Laurens, 29 Oct. 1778).